Public Relations Officer of the Delta State Police Command, Andrew Aniamaka. Four Catholic priests have been kidnapped by unknown gunmen around Oronegbe/Abraka in Ethiope East Local Government Area of Delta State. 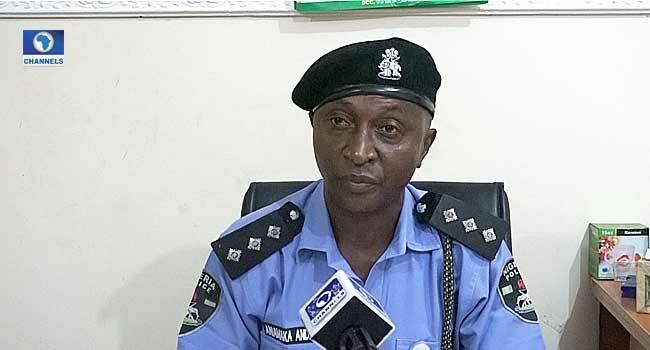 The Public Relations Officer of the Delta State Police Command, Andrew Aniamaka, confirmed the incident to Channels Television on Wednesday. Although some eyewitness accounts report that the four priests were abducted by suspected Fulani Herdsmen, the police insist the identity of those behind the abduction are still unknown. The priests were said to be on their way from an annual class meeting in Warri, Delta State to Ekpoma in Edo State, where they were reportedly waylaid and whisked to an unknown location by the arms-wielding hoodlums. The Delta and Edo State Police, have, however, say they are doing everything necessary to ensure the victims are rescued.